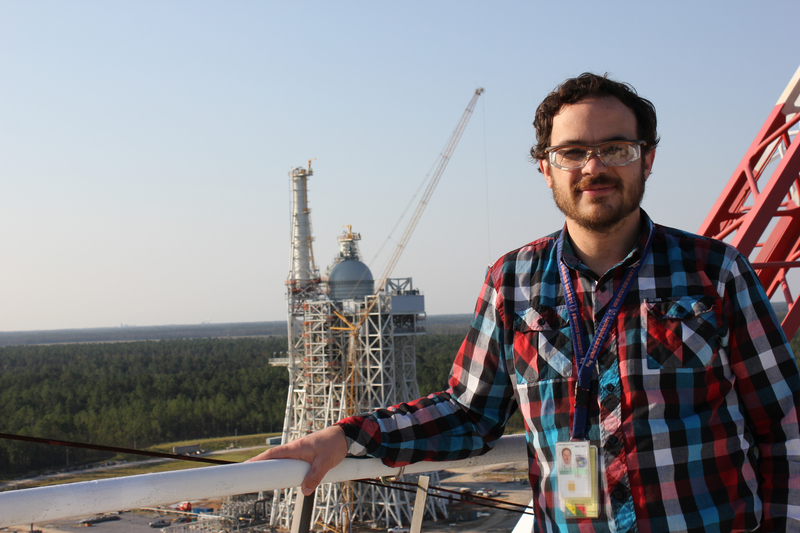 What do Rocket Scientists and Boilermakers have in common? Sorry there is no punch line to that joke, but there is an answer in there somewhere; give me a few paragraphs to find it. Most Americans familiar with the history of the industrial revolution, or engineering are familiar with the unconscionable number of deaths related to boiler explosions. Just to give you an idea of how serious the situation could be, in 1865 approximately 1,600 of the 2,400 passengers aboard the SS Sultana dies when 3 of the 4 boilers exploded. All of this lead to the formation of ASME, The American Society of Mechanical Engineers. Despite the name ASME is now multidisciplinary and world wide. I guess it would be too hard now to change their name to Global Society of Engineering & Stuff (GSES). Fast forward 100+ years from the Sultana accident and we have a wide variety of engineering fields and disciplines, and thousands of sub specialties; and almost none of them are boilermakers. Yet ASME’s biggest area is pressure vessel code. Last week I spent a week in Vegas for training on Section VIII Div I. A handful of you will know what this is, for everyone else “pressure vessel design code” is a sufficient explanation. 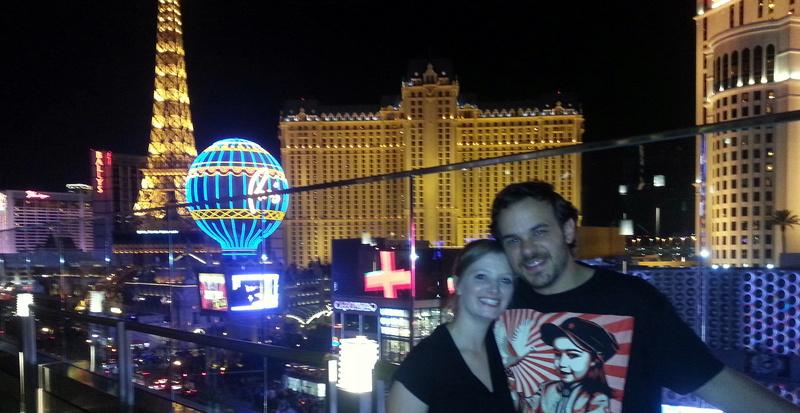 The view from the pool at the Cosmopolitan. We were there to see Blink-182, great show. “Wait, I thought you worked at NASA?” you might say. That’s right, at Stennis Space Center we have nearly 1,000 pressurized vessels. And to keep the center running right a lot of work goes into making sure those vessels don’t fail. And by fail I mean either exploding, or more likely, cracking/leaking liquid nitrogen, hydrogen, or oxygen everywhere. Construction of A3 test stand at Stennis Space Center. Capable of test firing rocket engines under vacuum. “Aren’t you a Material Science Engineer or something? I thought you played with lasers and x-rays?” Another good question. 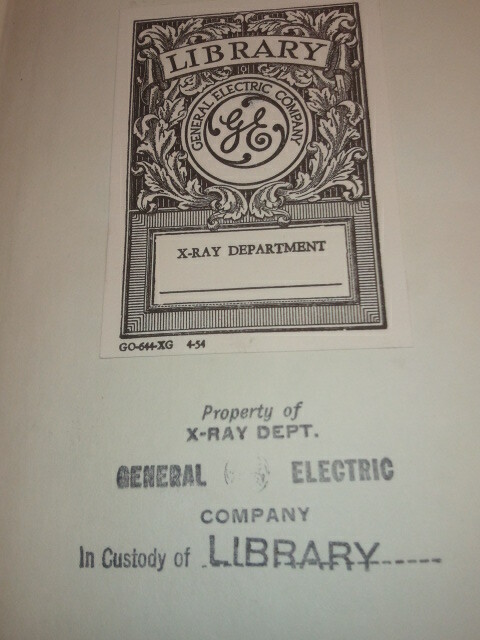 Yes my BS is in Material Science Engineering, and I still play with X-rays sometimes, as well as several other forms of NDE (Non-Destructive Examination). I work with Mechanical Engineers, Electrical Engineers, Industrial Engineers, Certified Inspectors, a variety of highly specialized machinists, welders, etc. ; and during training this last week I met programmers, chemical engineers, and just about every variety of engineering discipline you can think of. In the last century or two, while the field of engineering has drastically grown and subdivided, it still takes all of them to make a good product at the end of the day. Not every engineer is a mechanical engineer, the same way not everyone that works at NASA is a rocket scientist. ASME was formed to prevent loss of life from poorly made boilers. That president of smart engineering, and value of life in the pursuit of advancements in science and industry, set the stage in the 19th century for what NASA has done in the 20th and 21st centuries. I don’t love math… It’s just a theory. I love numbers and science, their simplicity and absoluteness. In an equation, if it is solvable, then there is a rational explanation for the solution. In many cases there is only one correct answer. All of my favorite science and engineering puzzles are this way. With one elegant indisputable solution. Unfortunately life is not always, or even usually, this way. Possibly why I love hard science (not soft science like psychology or part of biology) so much. It is ordered and logical, once you finally figure it out. Up until today I thought I like math. I was actually under the impression that I enjoyed math itself. Until I read the above article and realized that the thought of numbers and equations that take up hundreds of thousands of pages, decades, and dozens of Ph.Ds to solve. It gave me a headache just thinking about math that complex. I’m not saying that I couldn’t read Aschbacher’s 1200 page paper and understand most of it. Granted it may take me as long to fully understand it as it took him to write it. But the thought of having a job like his filled me with dread. Which to me was odd, because if I truly LOVED numbers and math as I thought I did, I should relish the thought of diving into a pool of unsolved mathematical mystery and emerging with buried treasure. But I don’t. At least not on that scale. What I realized is that I love numbers when their solutions result in actionable knowledge. If I use regression or integration to determine when a condition is at it’s best/worst or simply IS, and that knowledge means that this doohickey should be like ‘this’, or made out of ‘that’, or is ‘something’. I’m not saying that their solution doesn’t MEAN something. It means A LOT, and generations from now, their theorem will effect the way things work that the average person doesn’t even know exist despite depending on them. But when that equation was solved they didn’t then run out and MAKE something. It simply was a completed equation. I LOVE puzzles, but what I really love are solutions and MAKING things. Not simply making them, but making them better than before. I love research, and part of all science is hypothesis and theory. But I could not live in a world of theory, where solutions aren’t actionable outside the world of more theory. Learning what we didn’t know. 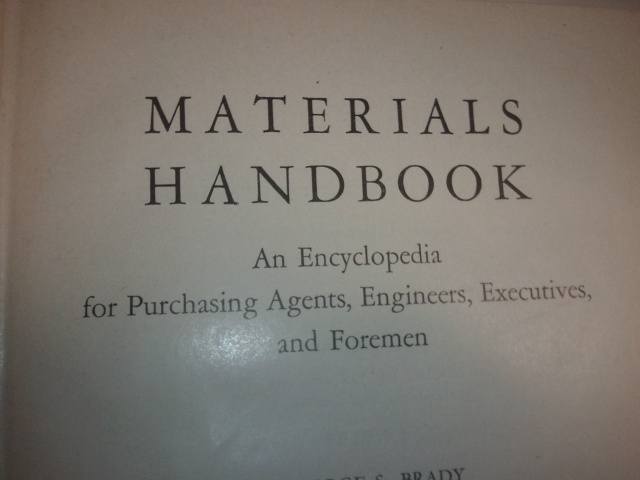 So on my lunch break today I was reading “Materials Handbook” Fifth Edition by George S. Brady. Not because I would learn something ‘new’ from a 60+ year old book. But because it is interesting to see what we have learned since then. I find it inspiring to see not only how much we have learned in a man’s lifetime (not mine, yet) but also how much scientists of the past could determine with so few instruments. In addition to that I find the examples of science we have disproved or improved gives insight into what science we currently believe that yet has room for improvement. As somewhat of a side note, while reading this horribly outdated book vintage masterpiece I was reminded of a professor who would give no credit to any work that used Wikipedia as a resource. He regularly told us that we had to go to the library for the information because not everything is on the internet. And while in my given field of Material Science it’s true (I could name hundreds of subjects that aren’t even a foot note in Wikipedia), that doesn’t mean that user supplied facts are any less true than a book published 20 years ago. And yes most science books currently in use were first composed at least 20 years ago, and although each edition contains updates, the whole of the work stays very much the same in most cases. I would bet that books (whether electronic or print) will always be the best way to present mass amounts of information (200-600+pages), but they are definitely no longer the only source of information. I think that open source information can be just as right or wrong as published information. What I think the real lesson is that regardless of the source question the facts and more importantly the conclusions. But don’t just ask “Is this correct”. Ask “Why is this correct or incorrect? And how can I prove or disprove their conclusion” Don’t question authority/science/politics/etc. for the sake of not being a lemming. Questions it in order to find the TRUTH. Don’t be a Hater, be a Creator.